The latest Google Play Store APK version 4.4.22 was found in the factory image release package of Nexus 5. The latest Google Play Store APK doesn’t bring anything new except the slide out navigation menu. We are sure that even though the front end of the Google Play app remains same, many of the older bugs in must have been fixed in this version. So you may decide to wait until the next version of the Google Play Store APK file is available or until its automatically pushed to your Android device. If you want to get the latest Google Play Store APK right now, you can download it from this link. 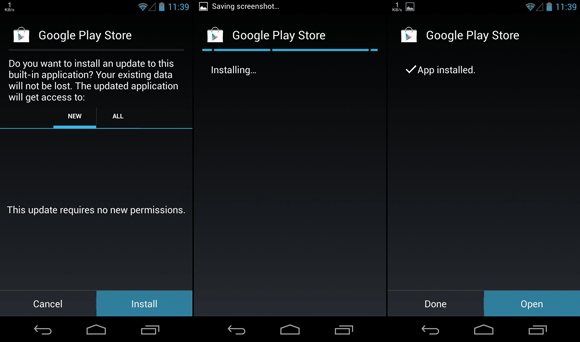 Here’s the procedure to install it on your Android device. • Once you have downloaded the latest version of the Google Play Store APK, copy it to your Android device. You can copy it to the SD card or to the internal memory of your Android device. • Enable APK or APP installation from unknown sources in your device. 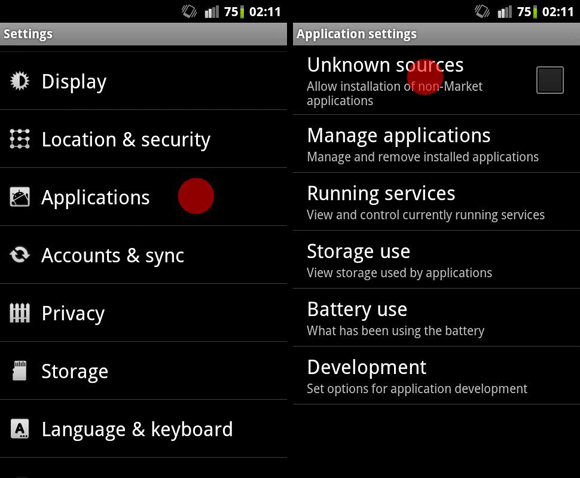 To enable it in devices running Android 2.3 or older, go to Settings > Application, and check ‘Unknown Sources’ option. 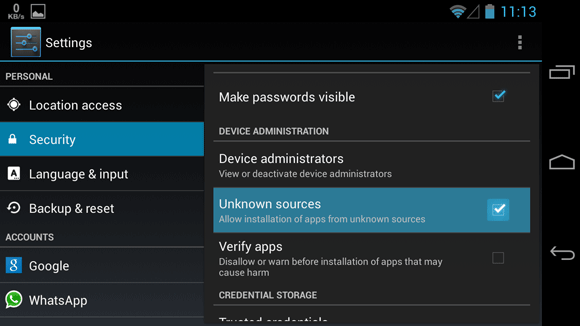 To enable it in devices running Android 4.0 or newer, go to Settings > Security, and check ‘Unknown Sources’ option. • Now open the location where you have copied the latest version of Google Play Store APK file on your Android device. You can do this using any file manager app on Android. Tap on the apk file to start the installation. It will take a few minutes to complete the installation so be patient. That’s it. You are now running the latest version of Google Play Store app on your Android device. Note that this post is updated as soon as a new version of Google Play Store APK app is available. So, subscribe to Zoopable to stay updated.